done as per Google's guidelines (Panda, Penguin, and Hummingbird). Okay, maybe they sign the email with a more legitimate name, but you get the idea. 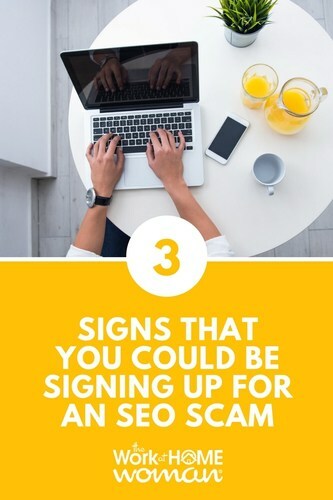 And it can be pretty tempting because as a website owner – of COURSE, you want more traffic to your website and that whole SEO thing can be pretty freakin’ confusing at times. I hope for your sake that you have *never* replied to one of these emails or engaged them in any sort of SEO services. 99 percent of the time, these are spam pitches from faraway agencies who are using sketchy tactics to make it appear as though you may or may not have more traffic. “Sketchy” meaning they’re sending fake traffic or doing things that’ll end up getting you a spam violation from Google later. So, okay – maybe you would NEVER say yes to an email like this that reeks so much of spam. But what about when it isn’t so obvious? How do you know what to look for when hiring someone for SEO help? Especially when the concept feels soooo far from your zone of genius in the first place? Here’s the thing – in the getting-you-more-traffic-from-your-ideal-clients-via-Google game, there are no guarantees. It’s just the nature of the beast. A lot of scammy SEO pitches include wording like “guaranteed #1 spot!” or other such specific results. Why is a specific guarantee a BAD thing? Because it’s not possible. What does all of this mean? Run away from anyone who leans heavily on the guarantee pitch! Okay, so I get that you might not totally get the whole “SEO” thing and that’s fine! But you should get skeptical of anyone who will claim their tactics are “proprietary” or say you just “wouldn’t understand” when you start to ask about their approach or what they’re doing. The thing is – the actions they’re taking are on behalf of YOUR website – links are being built on behalf of YOUR business & you have a right to know what’s happening. Because at the end of the day … the SEO agency may go away, but you’re still stuck with whatever links they built – spammy or otherwise. Sure, you don’t need them to explain the technical clean-up aspects to your actual website but when it comes to what content they’re putting on your site and/or what outreach efforts they’re doing on your website’s behalf – you have a right to know. If they’re resistant to sharing that stuff with you – run away! 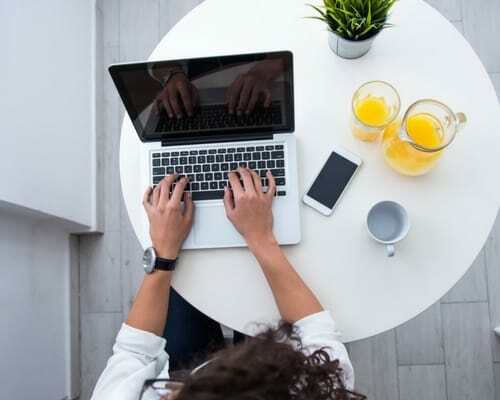 An honest SEO professional would also be happy to share the methods and strategies they want to help you use to get more of your ideal client traffic from Google. An honest SEO professional would also be honest about what sort of results they can and cannot help you achieve but what sort of actions they’re willing to commit to and share some examples of what has and hasn’t happened with clients in the past. Have you ever found yourself in a shady SEO situation? Have you tried SEO yourself? Have something you’d add to the scam signs list? Let us know in the comments!